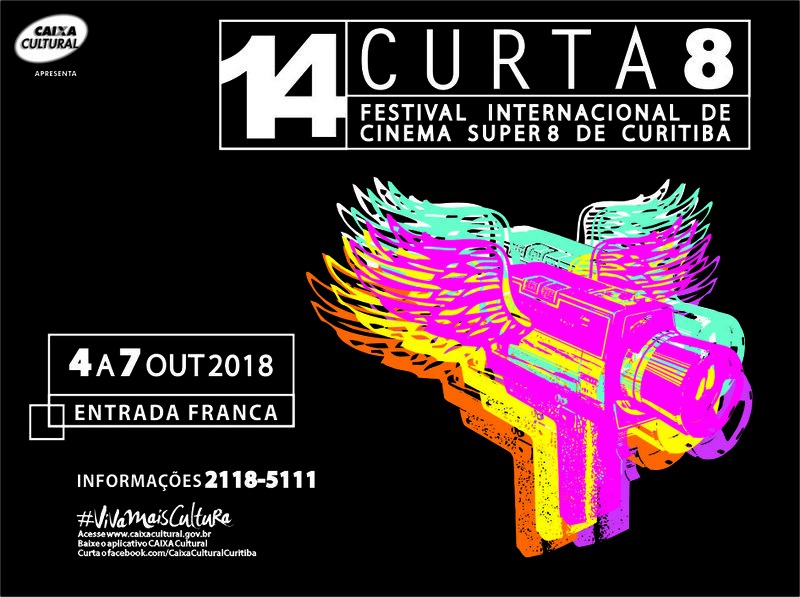 The Lei Municipal de Incentivo à Cultura de Curitiba through Caixa Econômica Federal will promote the 2018 edition of “Curta 8 – International Super 8 Film Festival of Curitiba”. In the last thirteen years the Curta 8 has promoted the production, exhibition, divulgation and awarding of movies made with a Super 8 roll, and also rescuing the memory of film production in super 8 in Brazil and worldwide. 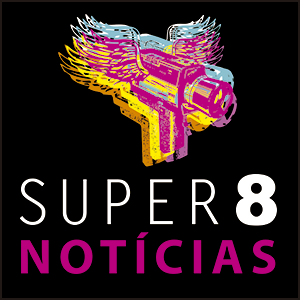 2.1 – The competition of 2018 edition of “Curta 8 – International Super 8 Film Festival of Curitiba” is open to productions from all over the Brazilian territory as well as to those coming from other countries. 2.2 – Are only allowed to take part on the competition movies produced from 2015 on that have not been screened in this festival’s previous editions. However movies concluded before 2015 will be allowed entry and participation outside of the competition, if selected by curators. 2.3 – The overuse of digital effects in the setting, which descaracterizes or makes it impossible to know if the work was originally shot in super 8 can invalidate the registration. 2.4 – For films containing dialogues, subtitles or text content in any language other than Portuguese, and those whose understanding is essential to the understanding the film, the filmmaker will be asked to apply subtitles in Portuguese or in one of the following languages: English or Spanish. The festival’s organization only offers to translate the subtitles to Portuguese, in case they are in another language. 2.5 – The movies will undergo a content evaluation in order to provide guidance for the attendees, in case there are any inappropriate content. It will also be verified whether the movies fulfill the minimal conditions established by this regulation regarding each kind of finalization – the movies that do not fulfill these requirements will not be screened. 2.6 – After the completion of the festival, the films finalized in pellicle will be available to their correspondent filmmakers in the auditorium of CAIXA Cultural of Curitiba, on the last day of the festival. To the filmmakers who are not present at the festival’s awarding ceremony, the film rolls will be returned through mail. The productions made on the single-take workshops will not be returned, and will compose the annals of the festival, however, copies of these productions may be issued to producers who wish to digitalize them on their own. Works sent in digital form will also not be returned and will be part of the festival’s annals. 2.7 – The entry forms for all the categories are available at the website: www.curta8.com.br. It must be filled out and sent via the Internet until the specific dates of each category in the section 3 of regulation. 2.8 – The registration will be effective from July 22, 2018, and only upon delivery of the film on the internet (for films finished in digital), or postal service with a shipping log (for the films finalized in Pellicle and the single-take films) until August 4, 2018. In case of sending in a date near the registration deadline, we suggest using the express postal service in order to avoid delays in delivery. The Curta 8 will promote in the 16th and 17th of June 2018 in the city of Curitiba/PR Workshop in Super 8 Film, in gratuity. Registrations take place from May 09 to 31, 2018 exclusively for the site www.curta8.com.br . The result of the selected contestants to the workshop will be comunicated by e-mail and will be published on the festival’s website on June 12, 2018. The selected contestants will have two more weeks to produce their films. The contestants must limit the amount of Super 8 cartridges to one per movie, which must be of the reversible type, which will be provided by the festival. The film must be edited on the camera itself, during the shooting of the film, being allowed the employ of photographic effects of any kind as long as they are manipulated during the film exposure (a few tips). However, the filmmaker cannot develop the movie. After shooting, the roll must be sent to the organization’s address (see section 4 of regulation). After the film is sent to the festival’s organization (with a posting date equal to or older than July 08, 2018), the organization will take the responsibility to send the film to the laboratory and reserve the right of projecting or not the developed films, regardless of the results (the registered and guest filmmakers henceforth accept these terms and declare themselves aware that their films can be projected even without any developed image). We reiterate that the organization of Curta 8 is responsible only for forwarding the material filmed to a specialized laboratory to develop the film. The festival is not responsible for errors in photometry or any other problems in the handling of the film, being the total responsability of the participant. The result of the movies is always a surprise both to the public and to the filmmakers, who watch the film for the first time during the festival. The movie’s soundtrack is the filmmaker’s responsability, who can burn the soundtrack onto a CD to be played along the projection, or employ live audio resources such as lip synch, musical instruments etc., all this being of the filmmaker’s responsibility to decide which (if any) to make use of. In case of choosing to use live sound, please consult the organization of the festival to make sure of the available resources – such as cables, amplifiers, microphones etc. Check out a few tips on audio performance in the tutorial “how to make a Single Take”. In this category the registration form must be filled until June 22nd, 2018 with a summary of the proposal of their movie. Confirmation should be expected by e-mail until June 29th, 2018. In case of approval, the filmmakers has until July 22nd, 2018 to shoot their movie and send the filmed cartridge (unrevelead) to the festival’s organization. The limit of Super 8 cartridges is one per movie, which must be of the reversible type and will NOT be provided by the festival. The acquisition of the cartridge is the responsibility of the filmmaker, who will receive a list of suggestions on places where the film can be purchased. The film must be edited on the camera itself, there being allowed the employ of photographic effects of any kind as long as they are manipulated during the film exposure (a few tips). However, the filmmaker cannot develop the movie. After shooting, the roll must be sent to the organization’s address (see section 4 of regulation). After the film is sent to the festival’s organization (with a posting date equal to or older than July 22nd, 2018), the organization will take the responsibility to send the film to the laboratory and reserve the right of projecting or not the developed films, regardless of the results (the registered and guest filmmakers henceforth accept these terms and declare themselves aware that their films can be projected even without any developed image). We reiterate that the organization of Curta 8 is responsible only for forwarding the material filmed to a specialized laboratory to develop the film. The festival is not responsible for errors in photometry or any other problems in the handling of the film, being the total responsability of the participant. The result of the movies is always a surprise both to the public and to the filmmakers, who watch the film for the first time during the festival. The movie’s soundtrack is the filmmaker’s responsability, who can burn the soundtrack onto a CD to be played along the projection, or employ live audio resources such as lip synch, musical instruments etc., all this being of the director’s responsibility to decide which (if any) to make use of. In case of choosing to use live sound, please consult the organization of the festival to make sure of the available resources – such as cables, amplifiers, microphones etc. Check out a few tips on audio performance in the tutorial “how to make a Single Take”. In this category the registration form will be accepted until July 22nd, 2018, and the Super8 films must have the maximum length of 15 minutes and have to have been posteriorly edited directly on the pellicle for the content to be displayed in their original format. The filmmaker must make sure that the assembled film is in perfect condition for display. The festival is not responsible for any damage caused on the film, being the responsibility of the filmmaker to make sure that the amendments were made with due care not to cover the holes. The audio of these movies can be run from magnetic strip applied to the film, from a CD, an MP3 execution during projection, live sound with voiceovers and/or performance of musical instruments. In the case of live sound, consult the festival organization to make sure the resources available, such as cables, amplifiers, microphones, etc. The films in this category must be sent via postal express service to the festival address (see item 4). In this category, entries will be accepted until July 22nd, 2018, of movies in which the filmmaker has scanned the material originally filmed in Super 8 and finished the work in digital file (exclusively .mov or .mp4, H264 codec, NTSC), with, at most, 20GB in size. The filmmaker shall provide in due registration form field the link for the download of the movie file, which must be sent exclusively by the websites www.wetransfer.com or www.myairbridge.com to the e-mail: curta8@curta8.com.br; materials sent via conventional postal service will not be accepted. It is the filmmaker responsibility to make sure that the copy of the work is in perfect condition and does not present reproduction problems in conventional digital media players. The overuse of digital effects in the assembly, which descharacterize or makes it impossible to assertain wether the work is originally shot in super8 can invalidate the registration. 5.1- The Jury will be composed of 3 (three) professionals, active in different areas of movie making, with no connection whatsoever to the festival organizers or the movies competing in the festival. 6.2 Technical Super Award is awarded by the official jury and evaluates the film design features involving photographic choices such as the type of emulsion, the use of focus and lighting, natural or artificial, the execution of the shots, the production of the art direction, the technique of sound-image context (in the case of the use of live sound, the technical quality of the performance, the use of instruments and / or any voiceovers), the assembly and the technical quality of the final work at the time of display. 6.3 Artistic Super Award is awarded by the official jury and takes into account the intentions of the filmmaker and the artistic expression of his choices on the whole, the dramatic result of the acting (that may include from actors, actresses, or even inanimate objects such as puppets, objects in stop-motion, etc. ), the script, originality and creativity of the sound-image context (in case of the use of live sound the expressive quality of the soundtrack performance and/or any voiceovers). 6.4 Surprise Super Award is awarded by the organizers of the festival, having its discretion set by them. It can be related to any characteristic not contemplated by the previous awards, but that deserves emphasis in any of the films screened (whether competitive or not). 6.5 Super Film – Single Take is awarded by the official jury and will be presented to the most outstanding film among the participants of competitive shows in this category. 6.6 Super Film – Popular Jury is awarded through popular voting at the end of each session and will be awarded to the competitive film which has the most votes in the assessment of the public. 6.7 Super Film – of the Festival is awarded by the official jury and will be presented to the most outstanding film among all participants of the competitive films. 6.8 The Super Schip prize was idealized and given for the first time in the last edition of the festival, honoring Leandro Bossy Schip, the creator of Short 8. The trophy is given by the festival organization to a filmmaker whose career and movies in super-8 show the soul and versatility of the format. 6.9 In addition to the trophies, other prizes may be offered by the festival’s partners to the contemplated films in some of the above listed categories. 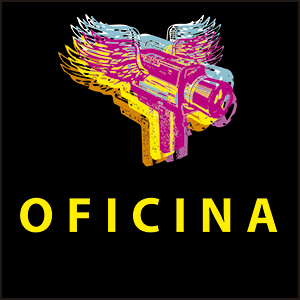 7.1- The “Curta 8 – International Super 8 Film Festival of Curitiba”, this year in its 14th edition has the overall coordination of Antonio Carlos Domingues and realization by Perfil Comunicação e Cultura, produced by Processo MultiArtes (Adriano Esturilho and Fábio Allon), and direction of projection by Lucas Vega. The festival will be held between October 4 and 7th of 2018 and activities will take place in Teatro da CAIXA Cultural de Curitiba, located in Rua Conselheiro Laurindo, 280, Centro, Curitiba / PR, Brazil. 7.2- The festival has free admission and is open to the general public. Tickets for each session can be claimed at the theater box office, according to the procedures of Caixa Cultural (usually on from 60 minutes before the start of the sessions). 8.1- The filmmakers, having agreed with the terms of this present regulation and having made their entry, or being selected by the curators, authorize the organization of Curta 8 to use, without charge, image content and sound of films, in part or in whole, for event advertising purposes in any media immediately after the selection of said films. 9.1- The issues omitted in this regulation shall be resolved by the Curta 8 Organization.